Cotton hand towel with topper has a snap so it can go over oven or door handle. Teal coloured towel featuring features the well-known hymn Amazing Grace. 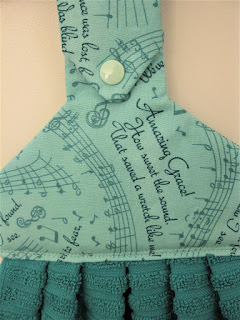 The words of three verses and music score swirl over the fabric. 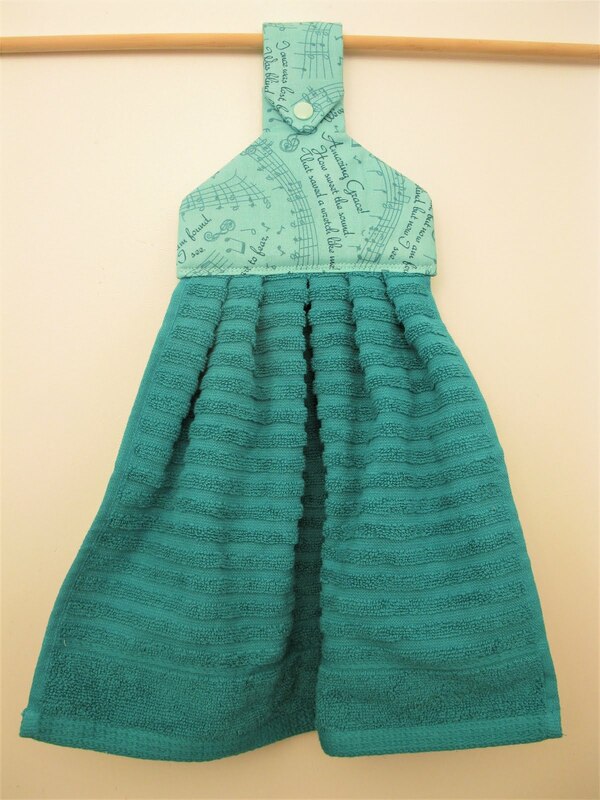 Teal background with print.